Last month I was interviewed for a small video feature that covered 3 booming economies India, Brazil and China. Here’s the link to the video feature. This entry was posted in Dial-a-Book, interview, start-up and tagged bbc, brazil, china, economies, india, interview, uk on December 30, 2011 by mayank. COD or Cash on Delivery as we now know it wasn’t no where near its popularity today a few years back. Today quite a few people (who call us at dialabook and otherwise) know and talk about Cash upon Delivery as a concept (books milne ke baad paise de sakte hain?) if not the exact term. COD as we know has taken the entire e-commerce Industry(if we can call it) by a storm. 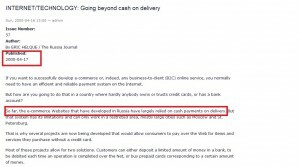 To give you some perspective, about 2 years back when we(@dialabook) started collecting payment for books on delivery, we had no idea about this term and no notable e-commerce site had this option. Fast forward it to today and almost all e-commerce sites(and a few others like the one below) accept(or rather promote) COD to lure more customers. The value payable system is designed to meet the requirements of persons who wish to pay for articles sent to them at the time of receipt of the articles or of the bills or railway receipts relating to them, and also to meet the requirements of traders and others who wish to recover, through the agency of the Post Office the value of article supplied by them. Govt VPP however seems to have an upper limit of Rs 5000/-, which means you can’t send goods worth more than 5k through them. As it turns out India isn’t the only breeding ground for COD. China,Russia etc have been a witness to the popularity of COD for long. Delay in payment: Unlike credit card transactions, COD payment generally takes 1-2 weeks or more to be transferred to your account. This bites your cash flow especially as the COD amounts start becoming huge. With increasingly every online business offering it despite its disadvantages(to retailers) the situation might just go out of hand and turn into a death spiral (at least for some non/less funded businesses that rely heavily on their internal cash flows). Small startups are the ones that should be really concerned about these issues instead of blindly aping others and starting COD. With time as the e-commerce market in India matures, there *might* be more trust in established mechanisms of swiping cards for paying and some people will get over the liking for COD and prefer pre-payments. 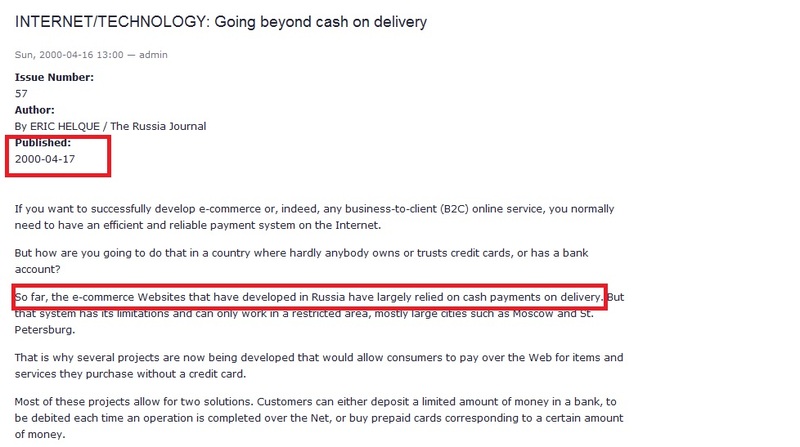 But, given the case in China, Russia etc it looks like unless the e-commerce majors deliberately start demoting COD and promoting other payment options we just might replicate what’s happening elsewhere i.e 60-85% people using e-commerce sites paying by COD. While COD is a good option to have in some cases its double edged sword which should be used with a lot of caution and foresight. What do you think? This entry was posted in business, start-up and tagged brazil, business, cash on delivery, china, cod, courier, dialabook, e-commerce, flipkart, india, indiaplaza, infibeam, payments, russia, startups, vpp on December 18, 2011 by mayank.